The area closer to the Davis Dam is producing a few Catfish and some Smallmouth Bass. 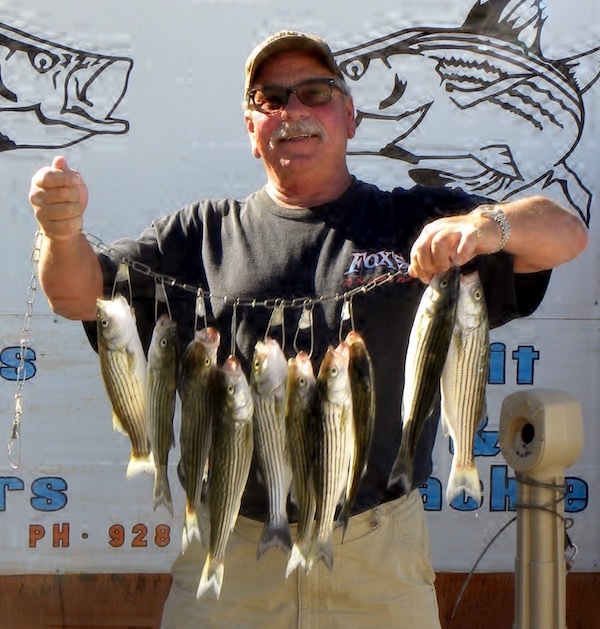 This time of year we can get some of our larger stripers in the casino row area below the Davis Dam along the Colorado River. I have been getting word that our nature center shore line has been showing some striper activity. The shore along community park should be having some of our larger stripers coming in with lures producing the larger fish. This is not necessarily the rule as anchovies catches a lot of fish. Colorado River - Davis Dam: The Striper Bite Below the Davis Dam is on Fire.